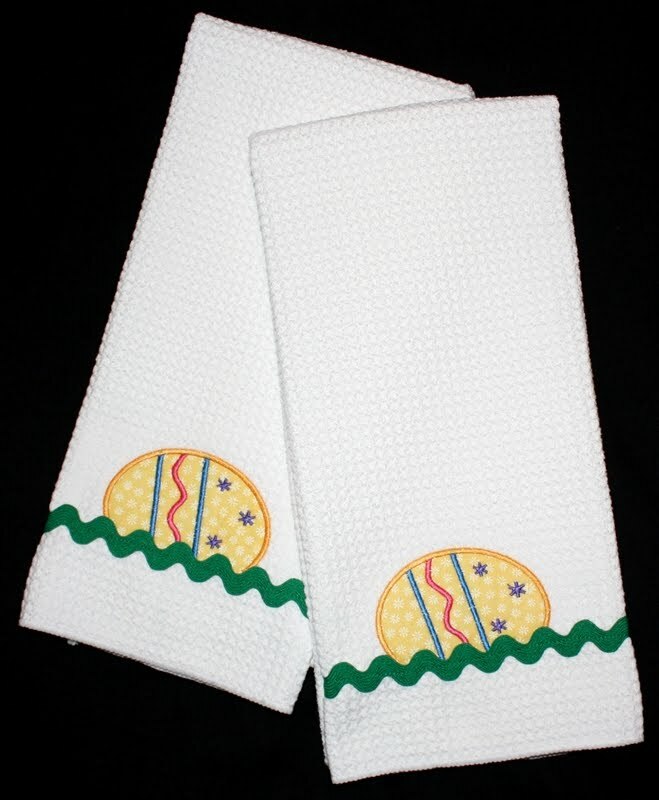 These towels are the next installment of the holiday towels I'm stitching for our moms as part of their Christmas'09 present. The applique Easter egg is from Nobbie Neez Kids, however instead of stitching the wavy green line that is in the original design, I tacked down a row of rick rack. I thought it turned out pretty cute! 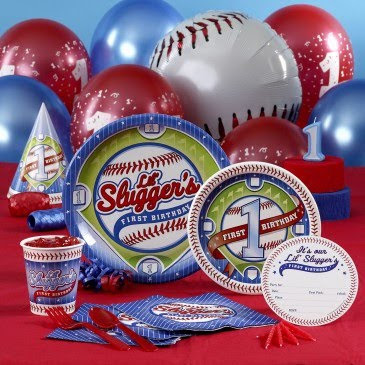 Opening Day: Third Time's a Charm, or Three Strikes-You're Out?? 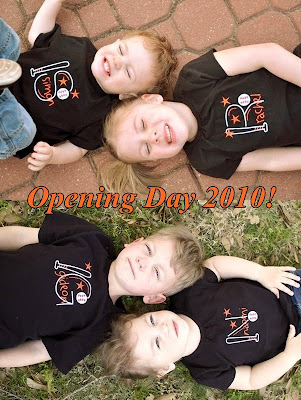 The last two years I have stitched shirts for Debby's grandkids to wear on Opening Day of baseball season (2008, 2009). It's that time of year again! 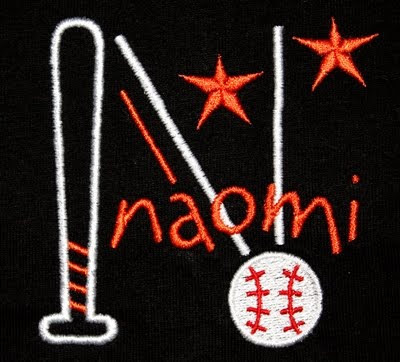 This year Daisha and Kelli requested black shirts for everyone with orange and white stitching (in honor of the Orioles). 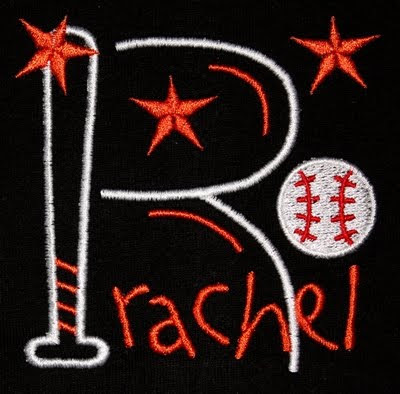 Stay tuned, I'm sure Daisha and Kelli will post new pictures of their adorable baseball fans on my Facebook page at the beginning of April. Become a fan now if you aren't already! Update: Pictures are now on Facebook! 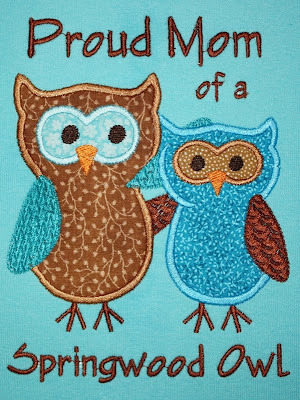 The applique design is from a set of owls at Embroidery Garden that I have admired for a long time. She had an amazing sale over the weekend, so I finally purchased them. This pair of owls is my favorite design of the whole set. I added the text with Embird Alphabet #14. 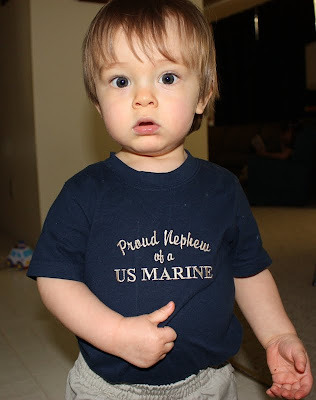 My brother recently graduated from the Marine Corps Bootcamp. 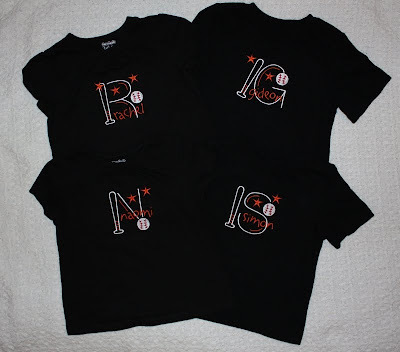 In honor of that I made these outfits for my kids to show how proud they are of Uncle Brice! 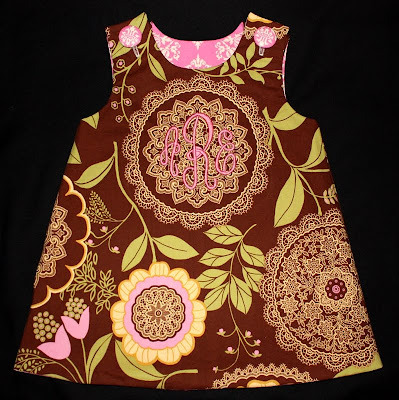 Annaliese's dress was made following the T-shirt dress tutorial from Just Deanna. 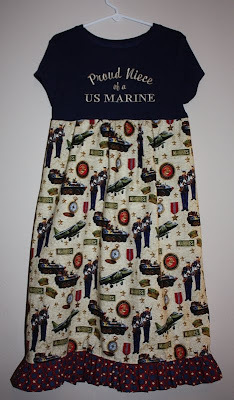 I took a navy t-shirt, chopped it off, did the embroidery work, then attached the skirt. 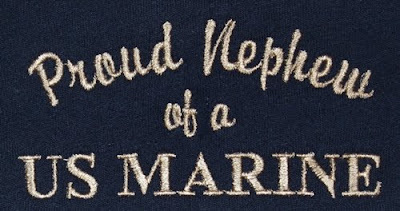 I purchased the Marine material at Hobby Lobby (it can also be found online). The ruffle material was in my stash from the Bargello Flag quilt I made several years ago. I used a roomy shirt and made the skirt long, so she should get to wear it for a couple years. 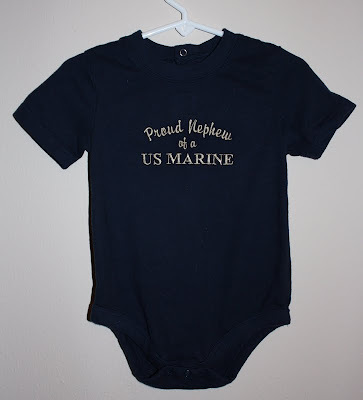 I used Embird Alphabet #7 for "Proud Niece of a" and Alphabet #16 for "US MARINE". Brice heads out for infantry school this week, so please keep him in your prayers!! 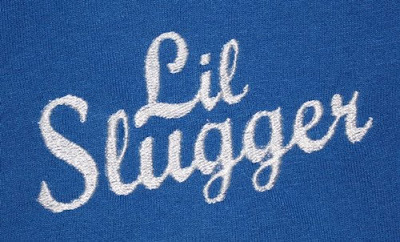 So for the front of his shirt I tried to find a font that was a close match to the "Lil Slugger" text. We settled on Script 1 font from 8 Claws and a Paw. We made the back to look like a jersey. The "1" is from the College Block font from 8 Claws and a Paw. I stitched his name with Embird Alphabet 2. 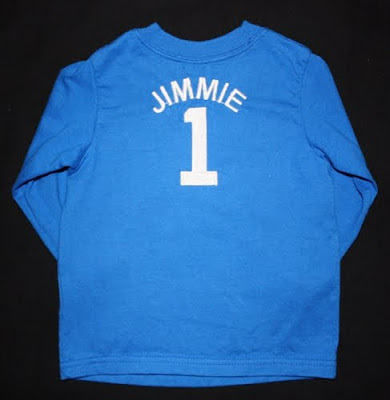 Seems like I was just stitching baby gift items for Jimmie... hard to believe he is already one! 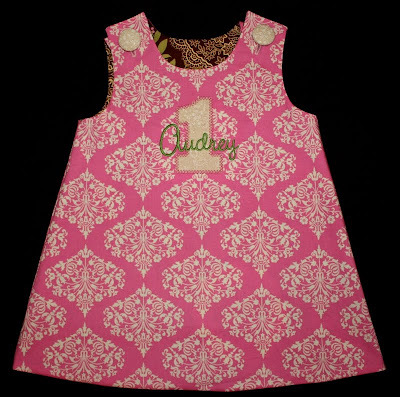 When Tracy saw Chloe's first birthday A-line dress, she knew Audrey had to have one when her time came. It's hard to believe that her first birthday was this weekend! Tracy bought the material and I got to work. 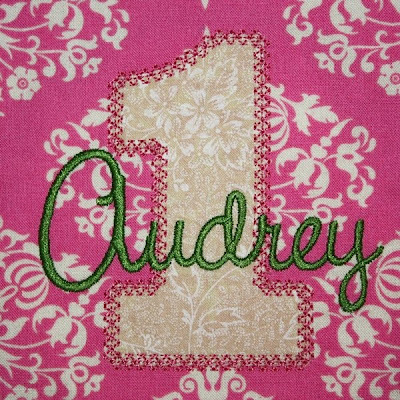 The "1" is from Chubby Wubby Applique Numbers from GG Designs, and the font is Candi from 8 Claws and a Paw. 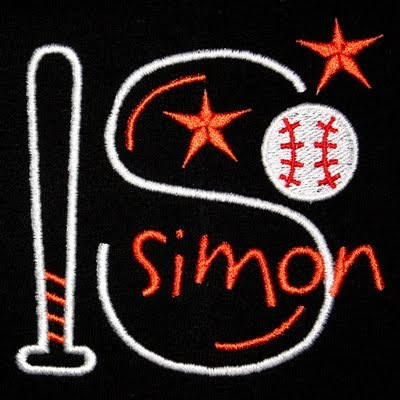 I used the Empire font from Embroidery Arts. 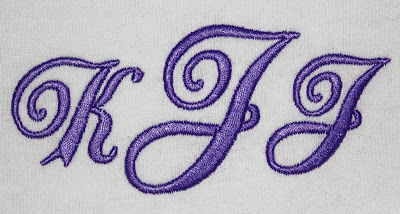 I love this monogram, and Audrey's initials are especially pretty! 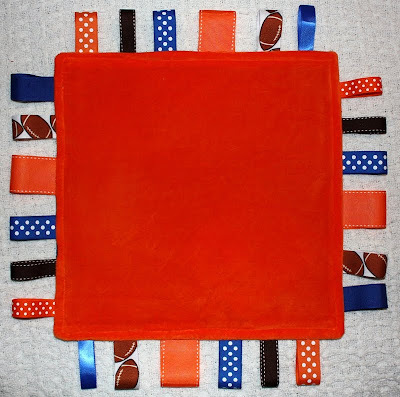 Auburn Alumni friends of ours are expecting a baby boy, so I made a couple orange and blue items for them! 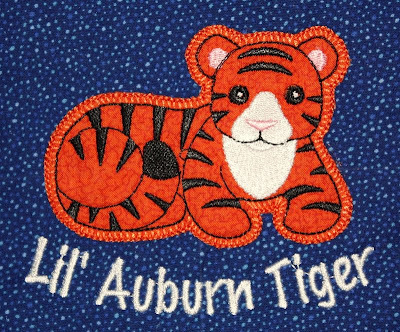 This little ribbon blankie has a cute applique tiger from Embroidery Library. 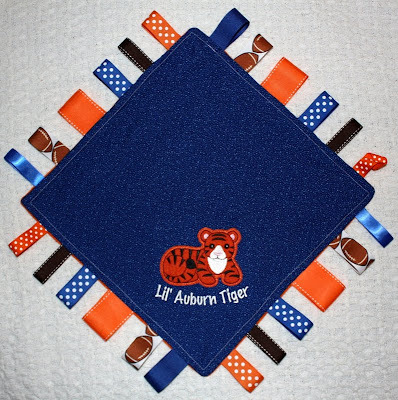 I added "Lil' Auburn Tiger" with Embird Alphabet #8. The back is super-soft orange minkee! 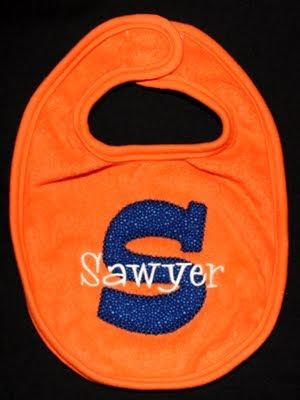 For his bib I used the applique S from Embroidery Boutique's Fun Applique Alphabet, and the Whoa Nelly font from 8 Claws and a Paw for "Sawyer". Susan requested items for a couple baby showers she attended on Friday. 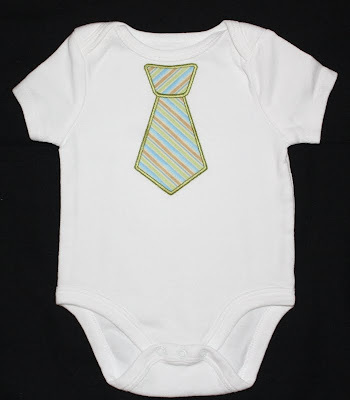 One mom-to-be of a little boy got this adorable tie onesie (the applique design is from GG Designs). 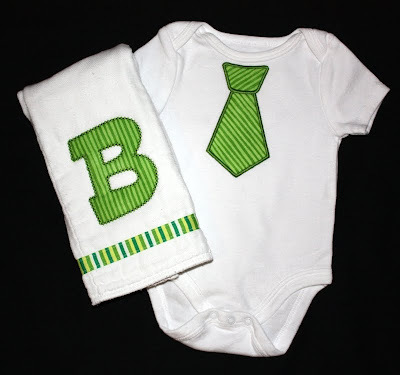 The Burkheads are also expecting a baby boy, so Susan wanted a tie onesie for him, as well as a monogrammed burp cloth. They weren't certain of the first name at the time, so we went with his last initial. 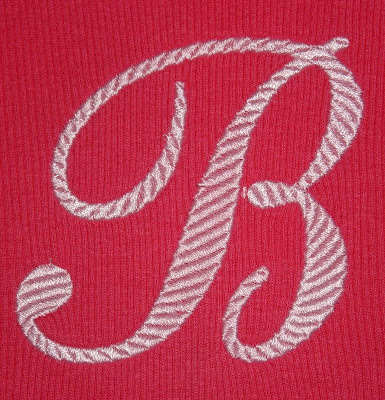 The "B" is from Embroidery Boutique's Fun Applique Alphabet. 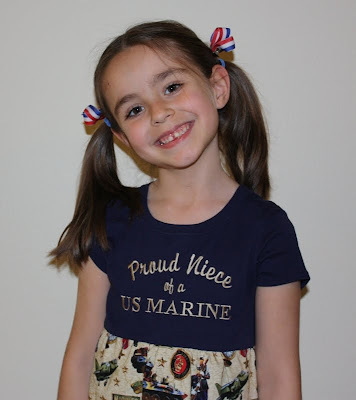 Kaitlyn is a blessed little girl -- she has a grandma who sews for her! 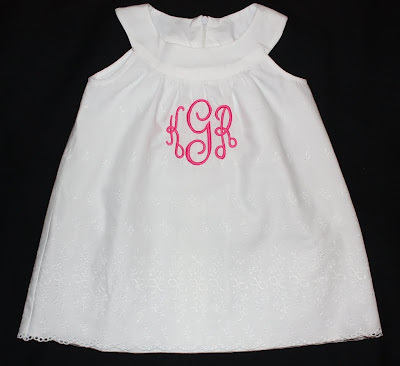 Momma Marcy asked if I could add her monogram and name to a couple items, like I did for her first birthday dress and some other baby items. Kaitlyn will get to visit Disney next week. 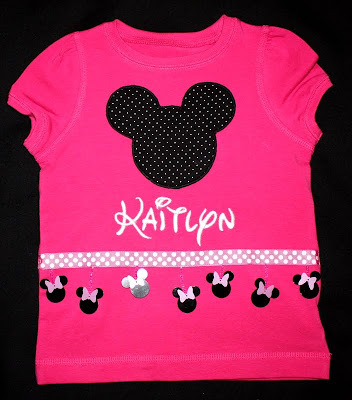 Grandma and Mommy already collaborated on this shirt to add the mouse head and trim -- I simply stitched her name, using the Walt font from 8 Claws and a Paw. 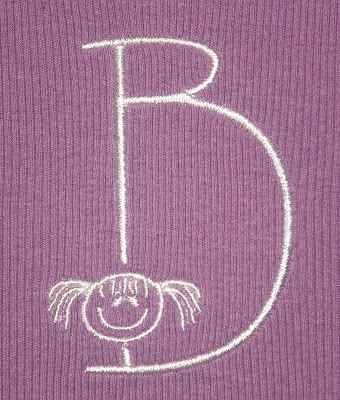 For the lavender tank top Liz selected the Smiles font from 8 Claws and a Paw. 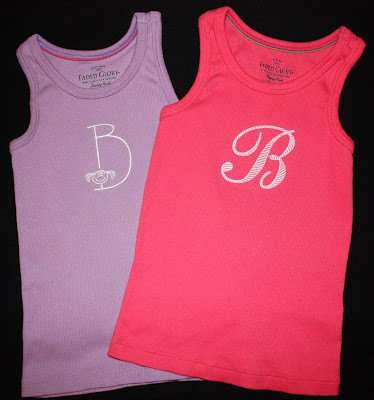 For the pink tank top she picked Embird Alphabet #11. 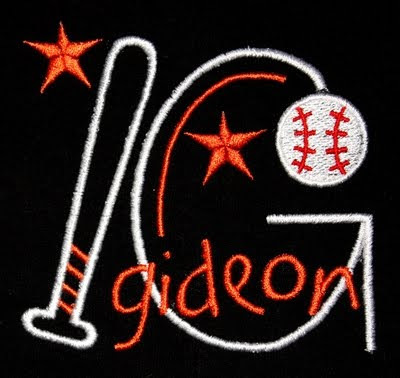 The letter is wide enough in some spots that satin stitches wouldn't work well. I selected the "strips" pattern for the fill stitch and really like the way it looks, especially on a ribbed knit! 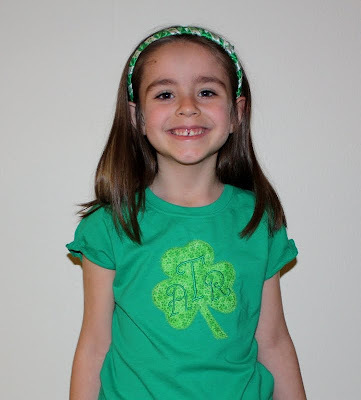 I finally got around to stitching Annaliese's St. Patrick's Day shirt last night! I bought the t-shirt in the fall on clearance for $2. 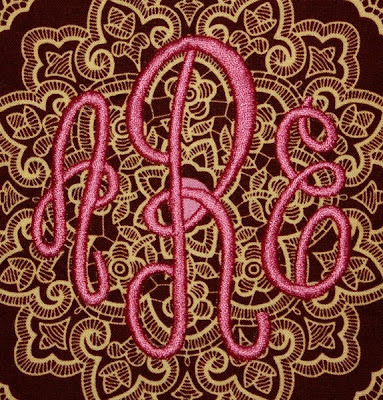 When I stitched my SIL's holiday placemats for Christmas, I knew then what I was going to put on Annaliese's shirt -- the design was already done because she and Amy have the same monogram! So why did I wait until March 10th to get this done??? Believe it or not, it was a fabric issue. NONE of the green fabrics in my stash matched this shirt. It has a touch of jade, and most of my fabrics have a hint of lime, and they just clashed or didn't have enough contrast. 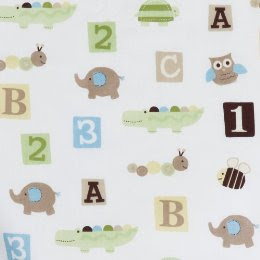 Yesterday I bought this fabric. Still not sure it's a great match, but Annaliese loves it, so that's what's important. AND the shirt is a size 7/8, so she should be able to wear it next year, too! 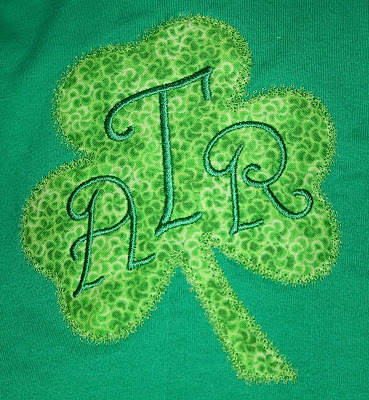 I used Embroidery Boutique's Shamrock Applique, and inserted her monogram using the Chez font from 8 Paws and a Claw. 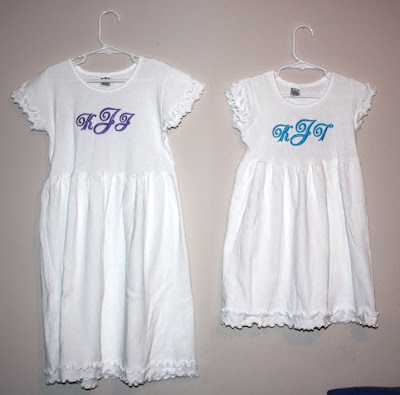 When Valerie ordered the spring dresses for her girls, she also ordered these Double Lettuce Edge Empire Short Sleeve Dresses from Dharma Trading. 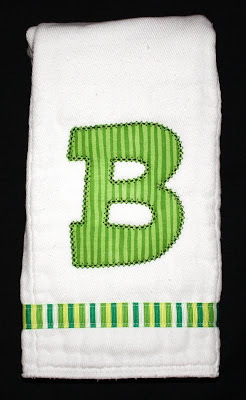 Michelle asked for a burp cloth for a new baby boy. 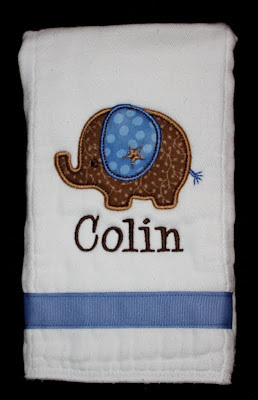 When I saw one of the items on the baby registry, I immediately thought of Lynnie Pinnie's applique elephant. I did my best to pick colors to match that crib sheet. I used Whoa Nelly from 8 Claws and a Paw for "Colin". My Real Live Groovy Girl! Annaliese has several Groovy Girls. One day last summer she made it her goal to dress up like one of them. Later in the fall I discovered there was one named Analise! 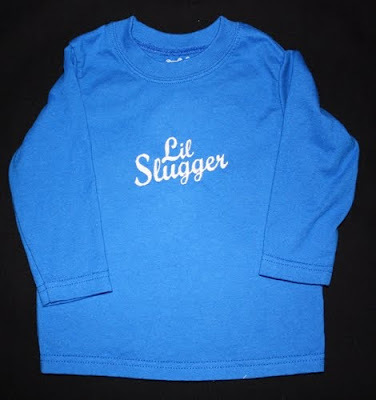 I ordered it for her for Christmas, and my plan was to make a matching outfit for her. I gathered all my supplies, but ran out of time to have it wrapped under the tree. 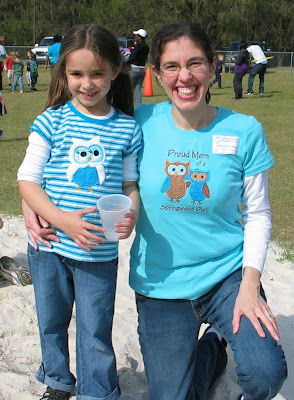 While home for Christmas my mom helped with the shirt, and this weekend I FINALLY embellished the matching capris. 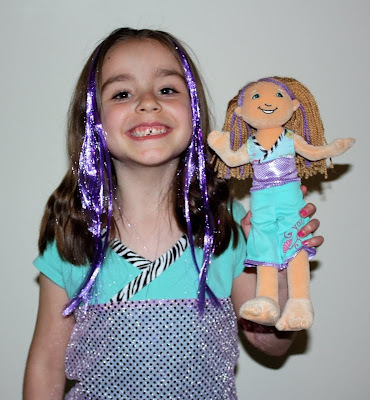 Annaliese is so excited to match her doll! 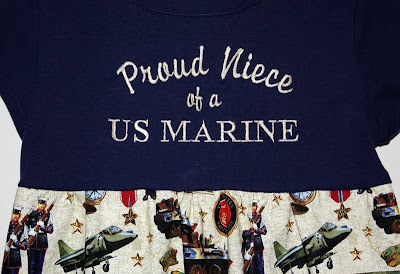 My mom helped a lot on the shirt. Ummmm... actually she did all the real work. :) I bought a t-shirt at Goodwill for $1, the zebra fabric and sequins material were already in my stash. Mom modified the neckline and added the material for me. 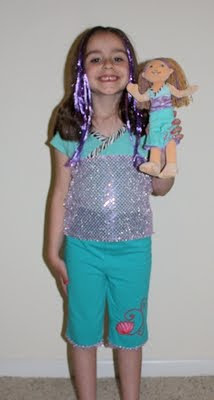 The purple clip-on hair is from Claire's. 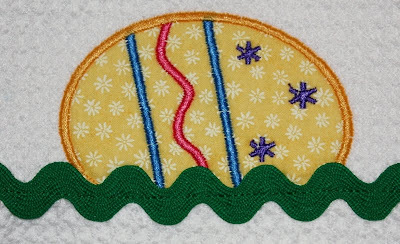 ... and this is the applique design I digitized to match! WOO-HOO! I'm so proud of myself! The curves could be smoother, but for my 5 year old's costume, it's good enough! I learned a lot in the process and really enjoyed doing it. 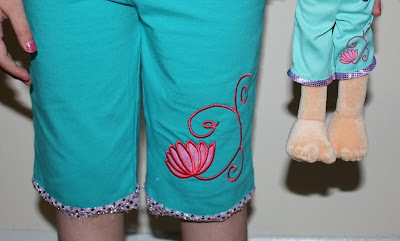 So to actually complete Annaliese's capris, I took a pair of pants that were in my stash from what Kathy sent us a couple years ago, chopped them off, added the embroidery design, and stitched strips of the sequins material around the edge.